Two time World Player of the Year Ronaldinho has been offered a move to New York City in the MLS this summer, according to ESPN Mexico. The article claims he also has offers on the table from China and Qatar, and that it is likely that he will leave his current club Queretaro after Sunday’s Liga MX final against Santos Laguna. They trail 5-0 after Thursday’s first leg. New York City are badly in need of a boost to ignite their debut season, and the double arrival of Ronaldinho and Frank Lampard could prove to be the answer. They are currently rooted to the bottom of the MLS Eastern Conference, having only picked up one win from their twelve games so far. The 35-year-old has failed to live up to expectations for the majority of his time in Mexico, but a rally of five goals in his last nine games has proved that he still has the skills to compete at the highest level. 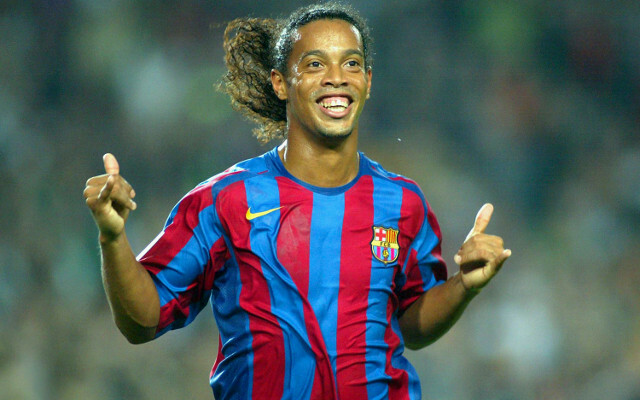 Nonetheless, Ronaldinho’s off-field attitude might leave some New York fans worried. He was filmed leaving the stadium in the middle of the second half in Queretaro’s semi-final against Chivas, and was fined for missing training in January.